Basically, it’s the classical view of Scottishness that’s summed up with traditional, often quaint, takes on Scottish culture. Take The White Heather Club (which I accidentally misspelled with an “s” the first time I typed it), placed amongst the twenty worst TV shows the BBC has EVER produced: it featured traditional Scottish music, while all the men wore kilts and all the women were draped in tartan sashes. 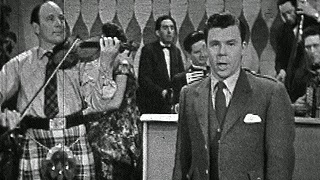 Recorded in Glasgow, the variety show was one of several (like the superbly named The Kilt is My Delight) that focused on the good, wholesome fun of Scottish culture condensed down into an hour of family-friendly, very occasionally entertaining teatime entertainment that ran during the 1950s and 60s. 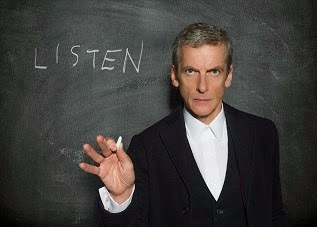 Fictional shows also absorbed a sense of slightly antiquated Scottishness. Dr Finlay’s Casebook, a TV and radio show than ran from the early sixties to the early seventies, follows the gentle exploits of a Scottish doctor and his friends in a central Scotland surgery in the 1920s. Meanwhile, The Vital Spark pootles around the Scottish coast with the captain and crew of a boat from which the show takes its title. It’s not to say that these things were unequivocally not happening at this time, but this was a rich and turbulent time for the whole of the UK. Towards the end of the sixties and throughout the seventies, Scottish television began to embrace more of the realities of modern Scottish life. One of most interesting things that sprang out of this period of Scottish television was soap operas. A handful of long-running Scottish soap operas popped up around this time, including High Living, which revolved around the life of a family who’ve freshly moved into a high-rise in Glasgow, while a spin-off several years after the show’s first broadcast in 1972 followed the widowed mother of that family struggling to continue her life without her husband. Garnock Way followed a few years later pushing things a little further into resolute reality territory, focusing on a mining town between Glasgow and Edinburgh and how they coped through the difficult decade. Broadcast on a select few channels, the series’ grittiness only lasted a handful of episodes before it was junked and replaced by Take the High Road after network officials called for a show with more “with Scotch Lochs, Hills and purple heather”. STV, however, recently resurrected the show after deeming it worthy of saving from the archives and posted all the episodes on YouTube. It was clear, with the reasons behind the axing of Garnock Way, that there was a tussle emerging over the way Scot’s were portrayed on TV and what TV they produced themselves. And there’s a good reason that Scotland is well-known for its sly, pitch-black sense of humour. 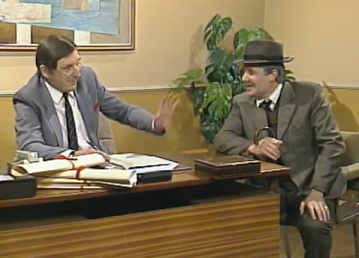 A number of shows came out through the seventies and eighties that helped move Scottish television away from quaint teatime affairs into dark, hilarious, slightly grim comedy. Raised with an Aberdonian father as I have been, I could never leave Scotland the What? out of this list without fear of being disowned. 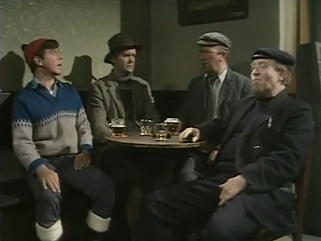 This anarchic and hectic Aberdeenshire-set sketch show made regular fun of the local Doric dialect and other Scottish institutions, eventually earning the creators a bagful of awards for their services to entertainment. Following their success in the seventies, City Lights, the tale of a shifty bank teller and his mixed bag of pals, struck it big. 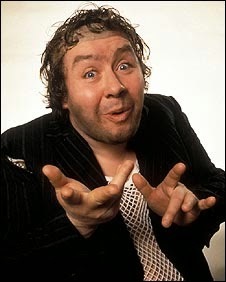 And, of course, who can forget Rab C. Nesbitt, the pitch-black comedy that took on taboo subject matters in uncompromisingly rich Glaswegian slang. Scottish comedy through the seventies and eighties was holding a mirror up to the tartanised view of their country and laughing at it. That’s not to say that serious shows were left out of the mix, though. 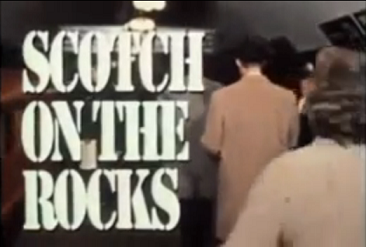 One of the ultimate classic Scottish dramas comes in the form of Scotch on the Rocks, a dystopian thriller in which the SNP and other Scottish independence movements gain real political clout in early 1970s Britain. The BBC deemed it so shocking that they promised never to broadcast it again, and were convinced, up until a couple of years ago, that the tapes containing the controversial drama had been destroyed. 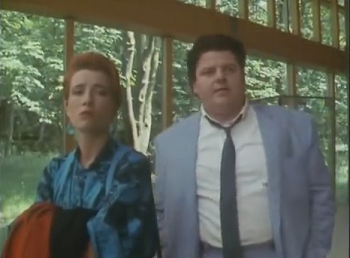 The legendary Tutti Frutti, starring Robbie Coltrane and Emma Thompson, told the dark, hefty story of a jazz band and their disastrous final tour through the rough side of Scotland’s pubs and clubs. These were serious drama shows that incorporated Scottish culture into their very core, and told powerful stories of Scottish influence that went beyond tracking shots of pretty Glens. There’s nothing wrong with a tartanised view of Scotland, but Scottish television proved-through comedy, drama and soap that it had so much more to offer than the popularised traditional culture that had sustained its television for so long. Intelligent, enduring, and shot through with an inimitable vein of dark humour, the seventies and eighties saw Scottish television firmly establish itself as a force to be reckoned with.